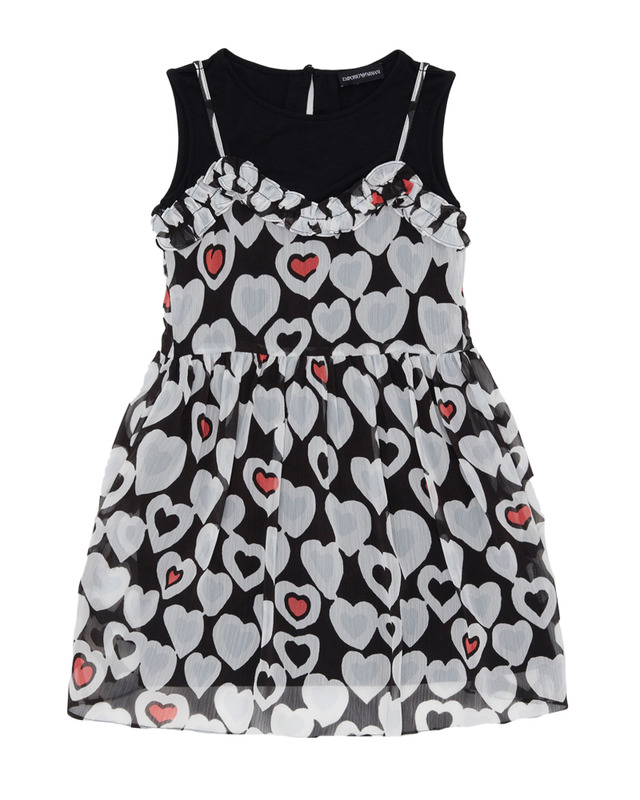 Emporio Armani black sleeveless tulle heart print dress. 100% Polyester. Imported.